Four more major industry speakers have been confirmed for the eCommerce Show North, set to be the biggest ever gathering of eCommerce companies, vendors and suppliers ever held outside London. 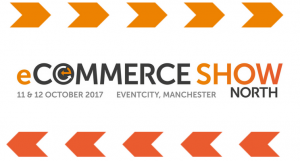 Over 40 leading eCommerce companies are already involved in eCommerce Show North. Last week we revealed that speakers from Kellogg's, Virgin Trains, Park Group, Missguided and Icelolly are also signed up to speak at the event, which is delivered by Prolific North and Don’t Panic Event Management. 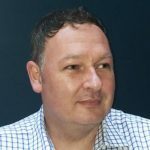 Graham is currently CIO at Rentalcars.com (the world’s largest online car reservation business) and chair of Manchester Digital. He has been variously described as entrepreneurial, an ecommerce veteran and slightly maverick by nature, validated in part by winning “most disruptive CIO” award in 2015. 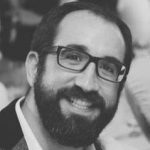 He has been CIO/Director for five well-known internet pureplays and has been voted into the CIO 100 for the last three years, two of which he was voted #1 in pureplay ecommerce. His focus is on building businesses through creative use of technology; as a leader of business change first and the head of the technology function second. 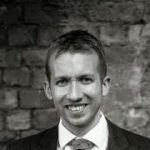 He was a judge on the Retail Week Technology Awards panel for five years and has also contributed as a writer to many industry articles and spoken widely at seminars and conferences. During the dot com boom of the late 90s, Zak, along with Dad Johnny E (the money man), launched Prezzybox and then proceeded to become ‘alright at everything’ in a quest to drive more than one sale a day to the site! Now, 17 years later Prezzybox are one of the biggest players in the online gift space generating up to 5,000 orders a day from countries all round the world. DW Sports is in a hugely exciting period of change. Significant investment is being put behind the people, processes and technologies which will revolutionise ecommerce growth as part of a customer centred, omni-channel strategy. 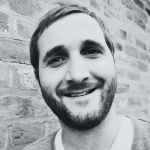 As Head of eCommerce, David is responsible for the customer experience and trading across all digital channels and (perhaps more importantly) how those digital channels add value to the customer experience in the 80 DW Sports Gyms and 90 DW sports retail stores. What will happen at eCSN?